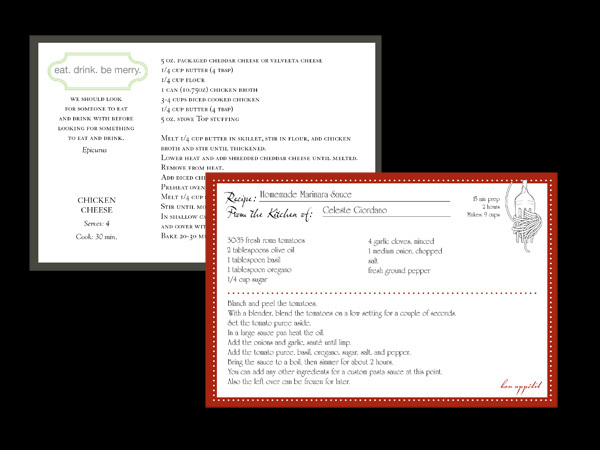 These recipe cards are the perfect gift for someone that has everything! 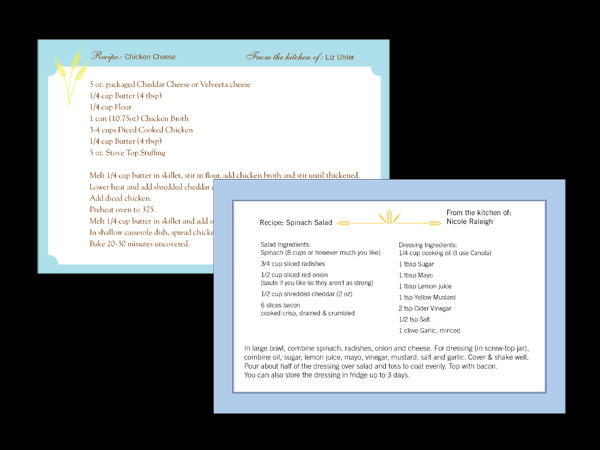 They are thoughtful, personal and handy even if you aren’t a pro in the kitchen. 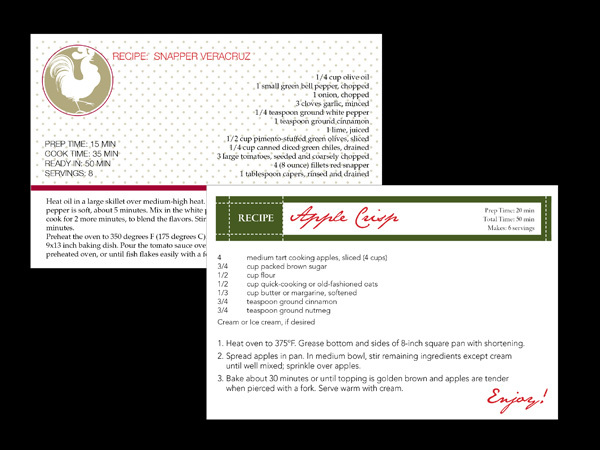 They can be purchased blank or you can personalize them with your own recipe. 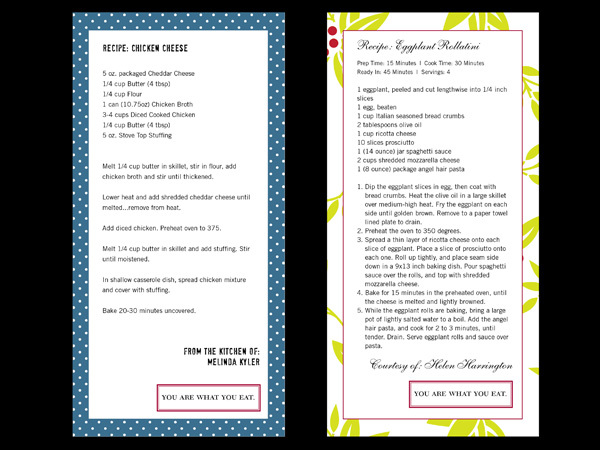 Simply email us a recipe and we’ll design it for you! 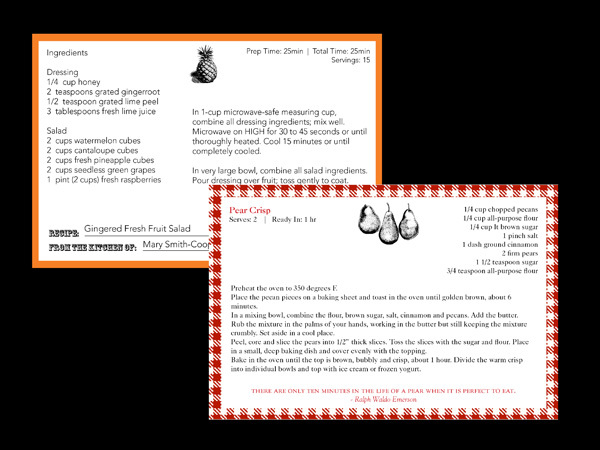 Tie them together with a ribbon and attach measuring spoons as a Bridal or Baby Shower favor. 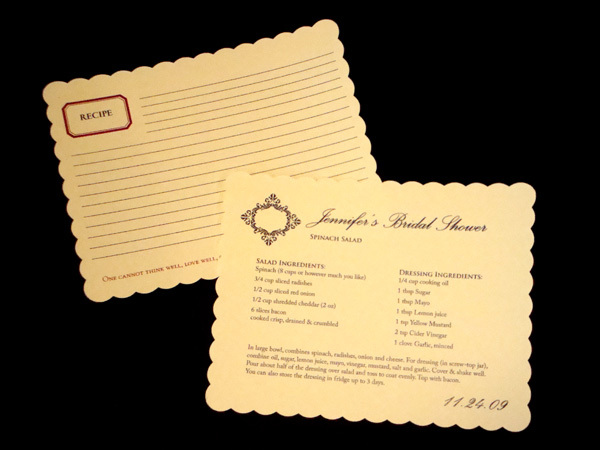 The name and date of the event can be included to add an extra special touch. 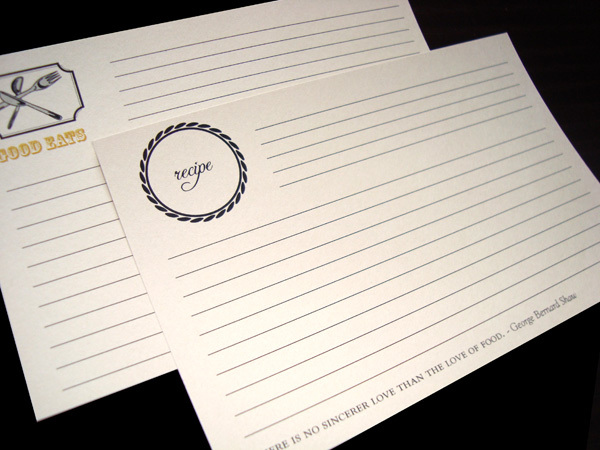 Sizes can be index card size (3×5) or (4×8).